1. 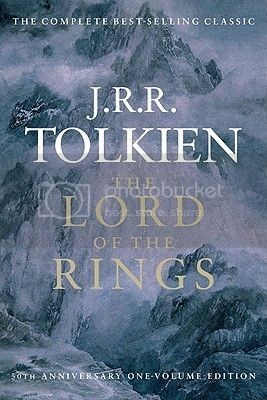 The Lord of the Rings Trilogy by J.R.R Tolkien - People love this series. I can only imagine why. However, these books are HUGE! Definite intimidation there. 2. 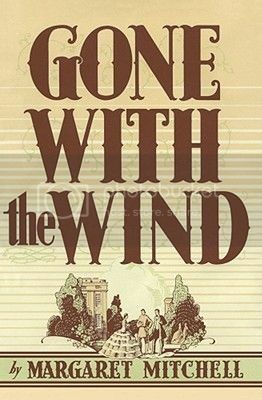 Gone With the Wind by Margaret Mitchell - At a whopping 1037 pages, this book is definitely not at the top of my to-read list. The movie is one of my moms favorites, and I've seen it a couple of times, which makes me want to read the book. Eventually. 3. 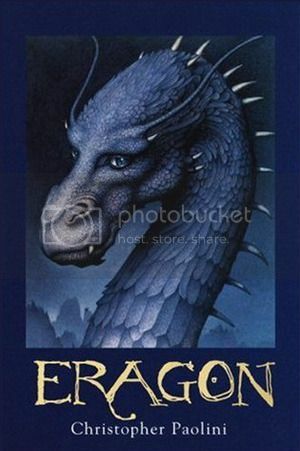 Eragon by Christopher Paolini - I am always seeing/hearing people talk about this series, and it sounds really great. But the books are Massive! This is another on my eventually to-read list. 4. Wicked by Gregory McGuire - Honestly, I don't know what is stopping me from reading this series. It sounds really great, and I would love to see the play as well. However, I always end up putting it back on the shelf whenever I pick it up. No idea why! 5. 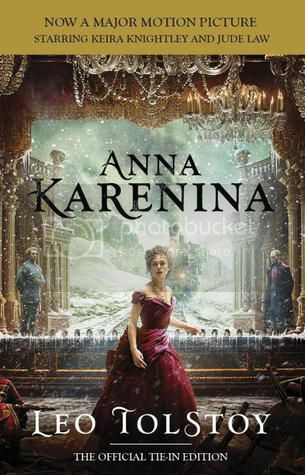 Anna Karenina by Leo Tolstoy - This book was recently made into a movie starring Keira Knightley in it. The movie also has Matthew McFadyen in it, who also stared with Knightley in Pride & Prejudice. Since I usually always try to read the book before I see the movie, I need to read this. The book has 800+ pages. It will have to wait. 6. 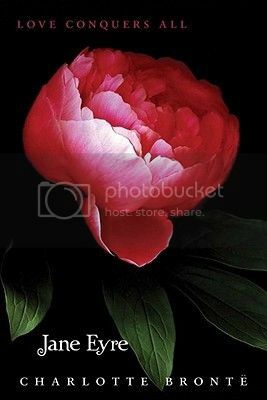 Wuthering Heights by Emily Bronte - This book sounds really great, and I can't quite pin down what exactly is so intimidating about it. I love Jane Austen, so you would think I would be right into this one as well. I need to get on it! 7. Jane Eyre by Charlotte Bronte - I started reading this book at one point, and stopped about 1/4 of the way through. I'm not sure why, maybe because I know what's going to happen at the end. Maybe that is what I find some intimidating. I would like to finish the book at some point. 8. 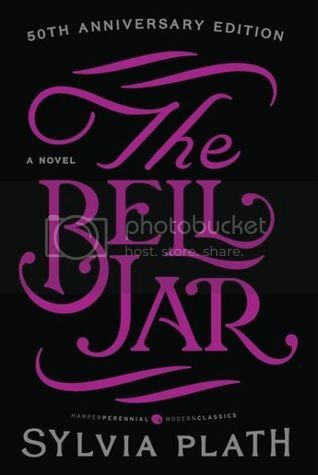 The Bell Jar by Sylvia Plath - Everyone that I know that has read this book has loved it. That's a bit intimidating me to! What happens if I don't like it?? I still want to give it a read, and I may have to do it sooner rather than later. Hopefully, it really is great. 9. 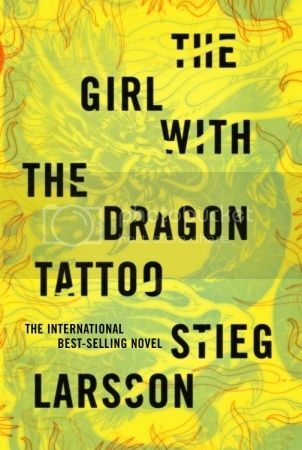 The Girl with the Dragon Tattoo by Stieg Larsson - I am not a big fan of books/movies that have lots of violence in them, which is probably why I haven't picked this up yet. Don't get me wrong, I'm SUPER curious about the series, but it probably won't get read anytime soon. 10. 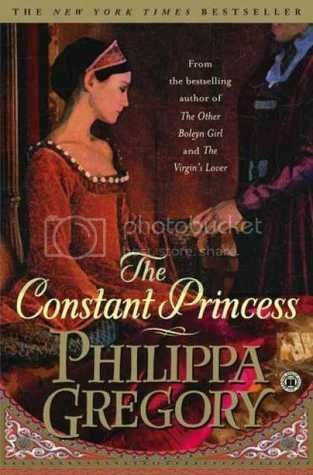 The Tudor Court series by Philippa Gregory - I have a couple of friends that really like this series, but they have all warned me that some parts are pretty slow. Slow books make me fall asleep. Not good! I do want to give this series a try at some point, however. What's on your Most Intimidating Book List??? I didn't enjoy Wicked as much as the musical. 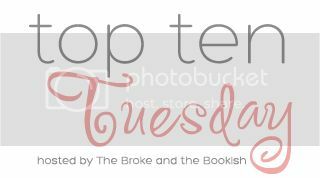 I also have Anna Karenina, Wuthering Heights and Lord of The Rings on my list this week too! I said it before - and I still think I am utterly alone with this - but ... LotR might be epic and a classic, but for me it took 4 trials to finish it. Very dark, very long and .. I just don't know. Andoh the classics, yeah the intimidate me too! I should've put The Girl With the Dragon Tattoo on my list. It's been on my Kindle for almost two years now, and I can't bring myself to start it. I hear it starts slow and that makes me nervous. I had the Hobbit on my list for the same reason TLOTR made yours. And, I've started and DNFed Wicked twice now. I finally gave up for good. Hopefully you'll have better luck than I did. The Girl with the Dragon Tattoo series is super-intimidating to me, too! As are some of those other ones. I like what I like, I guess! Great list! I made myself conquer my fear of Anna Karenina recently and surprisingly it was not nearly as difficult to read as I had feared and I enjoyed it. Gone With the Wind is definitely one I need to make time for. I have to admit that after watching the movie versions of both Anna Karenina and Lord of The Rings I just don't see myself reading either of those books. I'm also hesitant about the Eragon series even though I now own two of the books. I do, however, want to read Gone With The Wind at some point. A few of these are on my list as well :) Great selection of books! A few of these are on my list as well :) What a great selection and definitely intimidating! Thanks for sharing. I have no read any of these in full. 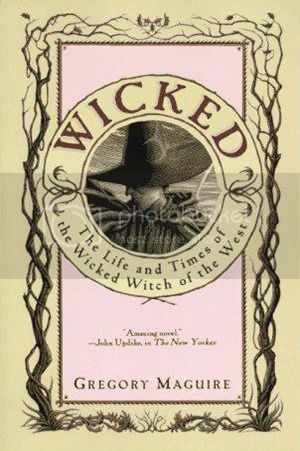 I flicked through Wicked once I think, but I didn't read it fully because I preferred the music. And I've seen the LoTR films loads of times but have yet to read the books! Those are totally some intimidating books. 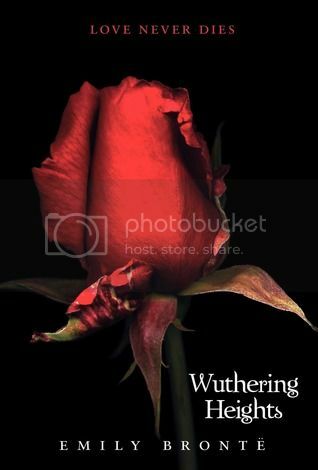 I've only read Jane Eyre, but I did love it. Thanks for sharing and good luck. My list also includes Wuthering Heights, Anna Karenina, Lord of the Rings, and the Bell Jar! For mostly the same reasons. Give Gone With the Wind a try. It's such a classic and doesn't seem as long when you are reading! I read and enjoyed The Girl with The Dragon Tattoo, Jane Eyre and Eragon (though I've had the last one on my shelf for months and haven't yet got around to it!). Lord of the Rings was okay once I got into it, but despite the fact it's a classic, I'd recommend A Game of Thrones over it any day. Lots of people I know (myself included) read Lord of the Rings without truly loving it, but I don't personally know anyone who didn't get completely immersed in A Game of Thrones after the first book. The best word I can use to describe Wicked is weird - it wasn't at all like the musical, and I didn't enjoy it very much. Hope you conquer your fear of some of these soon! But I hated the book. I never even finished it! The show is way better! But I also don't care for that author! Great LIst!